MET Rishikul Vidyalaya hosted its 7th Annual Sports Day with a lot of enthusiasm and spirit at the MET play ground. The Primary section flagged off the event on the 4th December 2010 followed by the Pre-Primary section on 5th December 2010.Over 450 students participated with full verve and vigor. 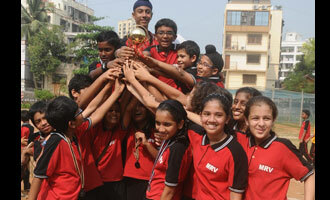 Every student was a part of the magnificent show that was put up by our budding athletes.